This version is almost complete, it's only missing a few minor items like position lights and some final tweaking before being ready for release. 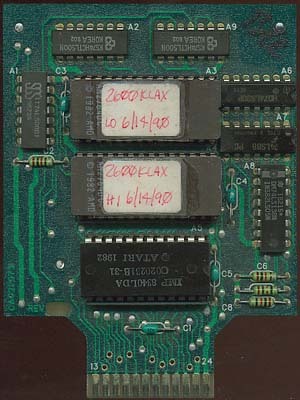 One of the more interesting things about this prototype is the large Atari Fuji symbol on the bottom of each screen and the complete absence of Tengen on the title screen. 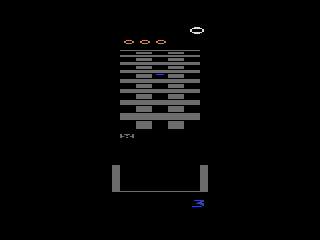 In the final version Tengen was credited on the title screen and the Atari symbol was removed and replaced with a scrolling Atari Corp. copyright message. 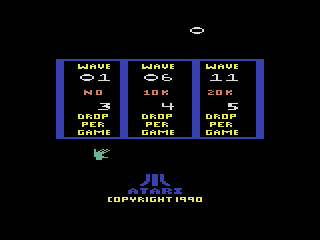 Copyright 1990 Atari Inc. with a large Atari Fuji symbol. 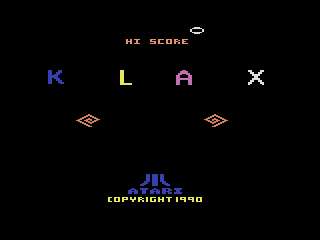 The "Klax Hand" is a light green instead of white. 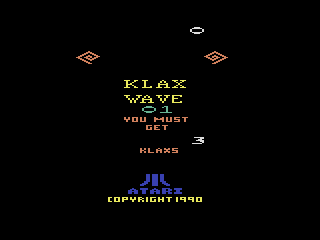 The message telling you how many Klax's or points you have to go is split up over two screens. 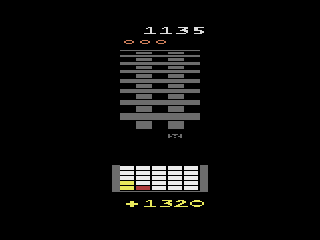 It says "Klax's to/go" ("to" is displayed right above the word "go") and then is replaced by the amount in a large font. Miss counter lights are on the left side of the screen instead of the right. Bonus points are added up at the end of each board without any indication as to what they're for. The secret message "Winner 100" which appears when you successfully complete 100 waves is not present in this version. What kind of bonus points am I getting? Why won't you tell me?? ?